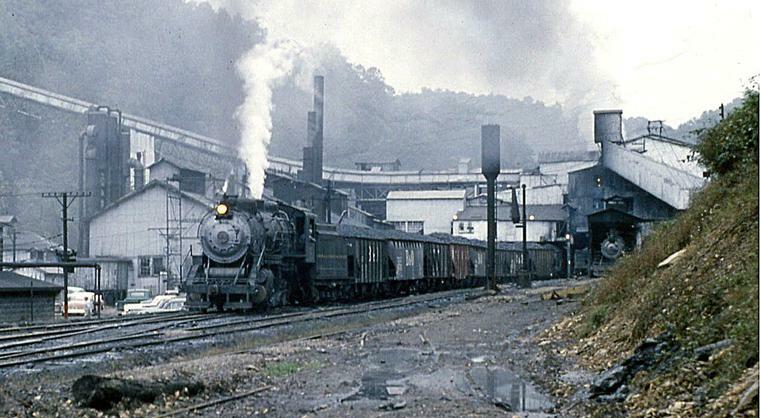 The BC&G was an 18.6 mile long coal-hauling shortline that operated in central West VIrginia in its original form from 1904 through 1965. It has been reincarnated on several occassions since. 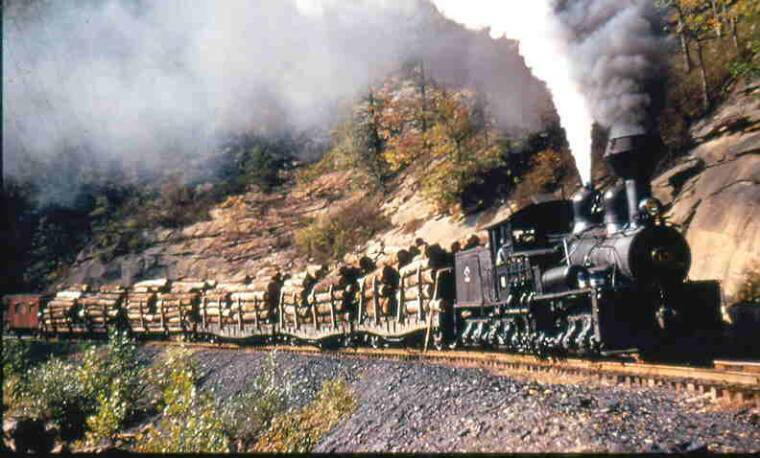 It was a fascinating railroad and an ideal railroad for modeling. 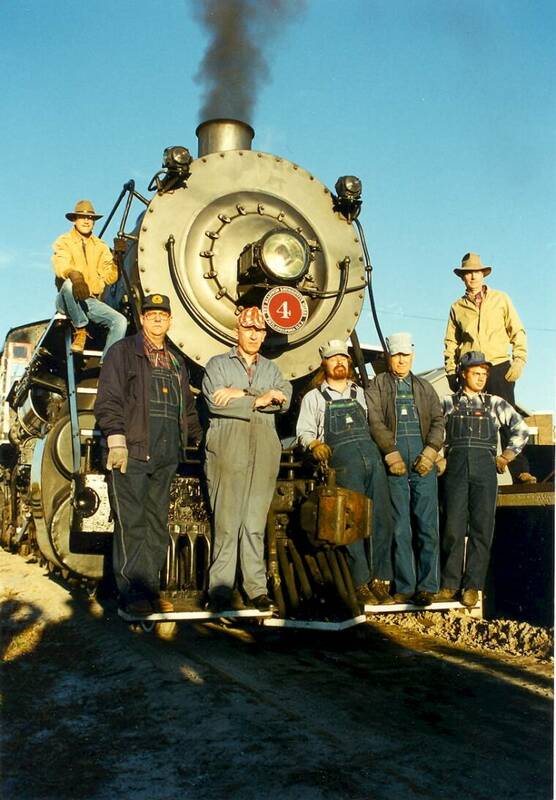 This website represents the compilation of all the information gathered over a period of nearly 30 years, information that was gathered to aid in the construction of an "S" gauge model railroad depicting the BC&G as it appeared in the late 1950s. 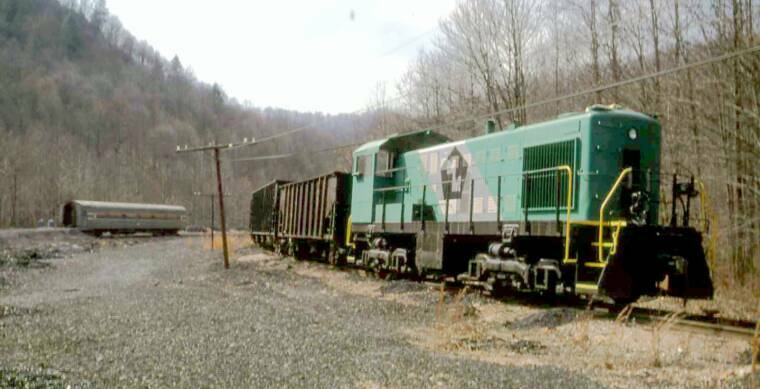 The information on this website will be of value to those with an interest in the BC&G, logging lines and Appalachian shortlines in general, but it's particularly aimed at those interested in modeling the BC&G and the logging railroad of the Elk River Coal & Lumber Company. Over the past 30 years I have been collecting information about the BC&G and the logging line of its parent ERC&L Co. to assist me in creating a model railroad representing the lines as they appeared in the late 1950's. I have discovered that there are others, including other model railroaders, and former employees of the ERC&L Co. who are also in possession of historical information about the BC&G and who like me, are concerned that if it is not collected in one spot will soon be lost. The purpose of this site is to create a single collection point for information about the BC&G and the ELR&C, particularly previously unpublished information. 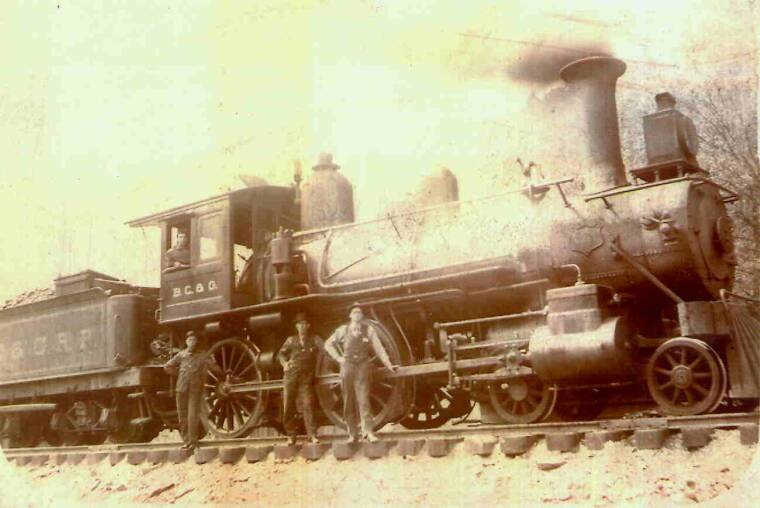 This site, in fact, contains a significant number of new photos, drawings and stories about the railroad that have not previously been in the public domain. 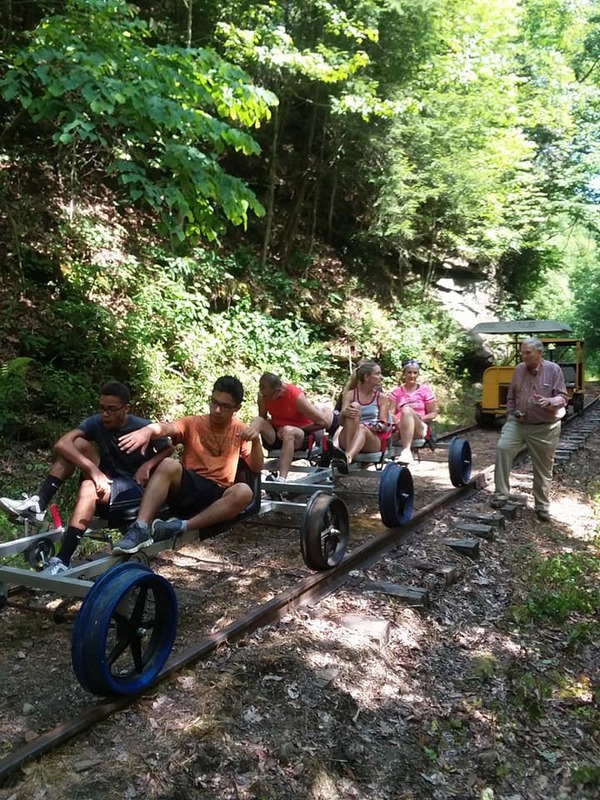 Collectively the information presented here will allow modelers to construct and operate accurate layouts of this fascinating railroad. Some of the contributors are named below. The site is a living document, so If you have comments, questions or information to add to this collection, please go to the CONTACT ME page. I'd love to hear from you! Connie Acree has identified the crewmemembers in the original photo (above left) taken on February 27,1965, the last day of operations. L to R: Ralph Acree (Connie's dad), Jobe Young, Ab Wilson (Connie's great uncle), Carsel Hamrick, Moon Mullins and Sammy Burkhammer. The fellow on the far right is unknown. 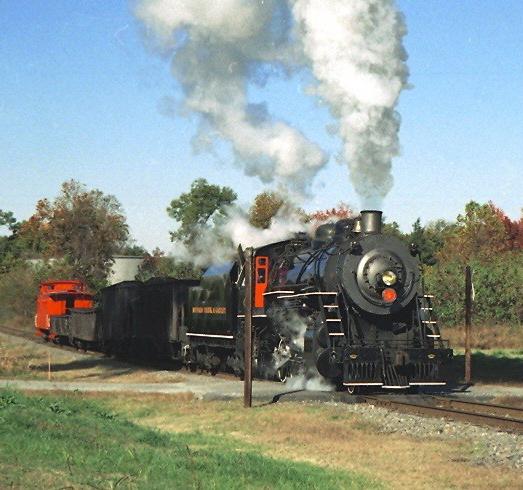 On November 4, 1995 an event was held at the North Carolina Transportation Museum in Spencer, NC commorating the 30th anniversary of BC&G Engine #4's final run from Swandale (photo near right). Engine #4 was at the NCTM in tourist service lettered as Southern #604. For the reunion, she was restored to her BC&G livery and several hundred BC&G faithful enjoyed seeing the engine in service again. The photo on the far right was taken that weekend with members of the organizing effort poised to duplicate the famous photo on the left taken 30 years earlier. Amazingly, both photos were taken by the same photographer, Larry Fellure. In the reproduction photo, Bob Withers is second from left, Frank Criswell third from left and Brooks Stover is at the far right. It was a weekend all in attendance will long remember! For the names of the many ERC&L residents and railfans who have contributed information and photos to the site, see the ABOUT THIS SITE page. Sign and View GUEST BOOK Here ! IF YOU ENJOY THIS SITE, PLEASE LEAVE A COMMENT ON THE GUEST BOOK! You can send me an email (HERE) and let me know if you find the site useful or interesting. 3/7 - An article on how I modeled the BC&G's Dundon Shops has been published in the March/April 2019 issue of Narrow Gauge and Shortline Gazette. 2/24 - I posted an overview of the finished Dundon scene highlighting all the structures and details that are based on the prototype. 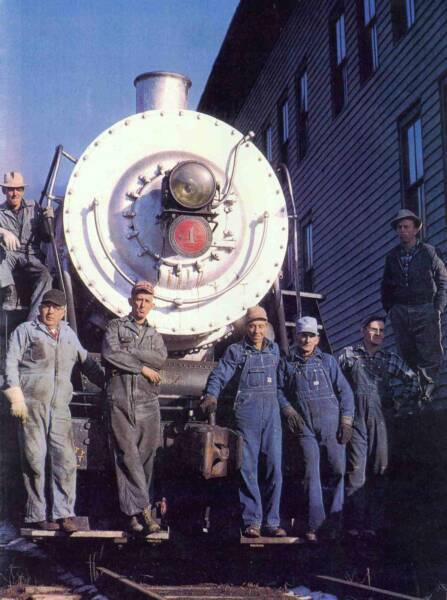 2/22 - Steve Canonico provided a unique Courtesy Pass published by the BC&G RR after the sale to Clinchfield in 1958. It is a wonderful piece of late BC&G history. The pass is at the very bottom of the page. 2/21 - I revised and updated the Modeling In S page to include a number of new models including Climax E4, Whitcomb #20, Caboose C-2. 2/19 - I have added information about the article on the new layout in MODEL RAILROAD PLANNING 2019 as well as a detailed track plan for the new layout. I've also added a couple images of Dundon and the Sand Fork Bridge. Finally, I've posted a short story about Cody Burdette's 1-ton truck and a model I built of it. 10/5 - I've added a model photo to the top of the home page, giving the site a bit of a new look. I've also posted a couple of new images of the layout on the Dundon page. Enjoy! 8/31 - I have started to build the SWANDALE page for the new layout. I've posted some 'inspiration photos' and a couple that show the status of construction...track will soon be laid. 7/29 - Kim Solomon, Patsy Baughman's daughter, built a wonderful table/shelf for displaying her collection of BC&G memorabilia. Photos of it are at the very bottom of the Memorabilia/Hardware page. Nice job, Kim! 5/8 - I posted a few images of the progress on the Dundon portion of the new BC&G layout. WHAT'S NEW on the SITE ? Click on the highlighted phrases to connect to the pages with new information then look for the with the date corresponding to the posting. 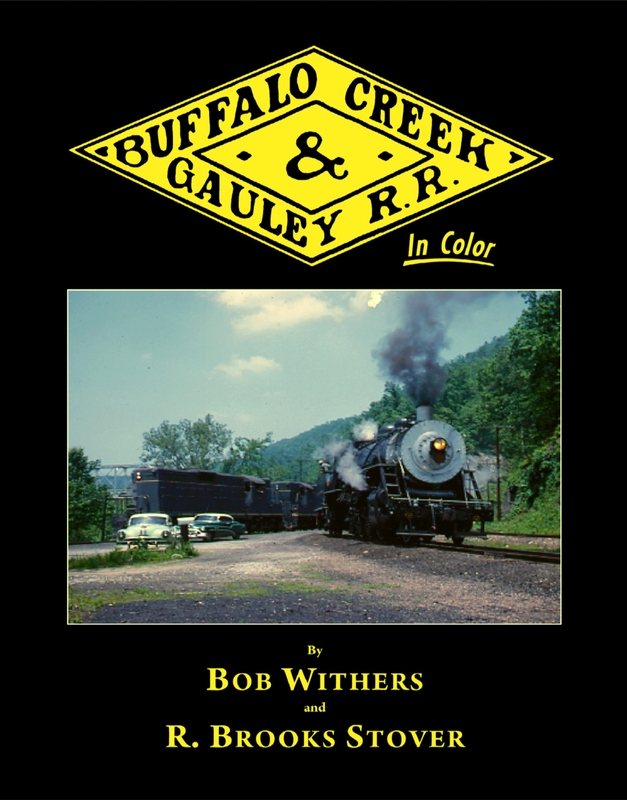 The book "The BC&G in COLOR" is published by Morning Sun Books. It is available at book retailers and directly from their website, www.morningsunbooks.com. For more information go to REFERENCES - Books. BC&G #4 TO RUN AGAIN! 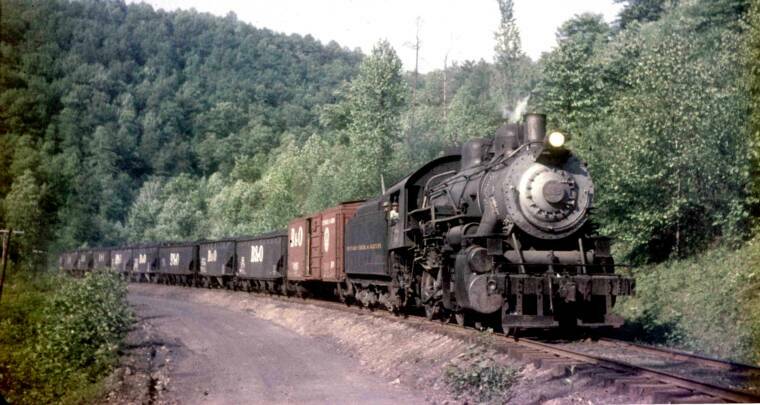 BC&G #4 has been purchased by the Durbin & Greenbrier Valley Railroad for restoration and operation in West Virginia! The 'odometer' has rolled over. Add 100,000 to this number! 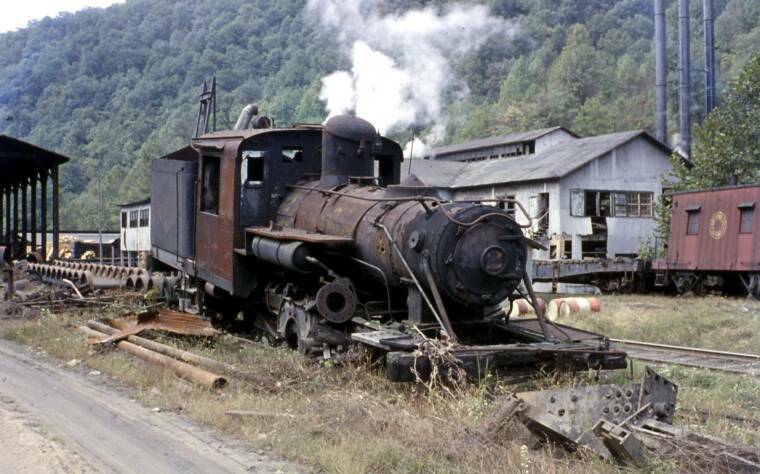 I have recently discovered two wonderful 'caches' of BC&G photos that I encourage all BC&G fans to check out. Both BILL GORDON and JOSEPH PETRIC have captured the essence of the BC&G in wonderful photos. Be sure and check these out. And if YOU have photos of the BC&G or ERC&L that you'd like to share, be sure and contact me. 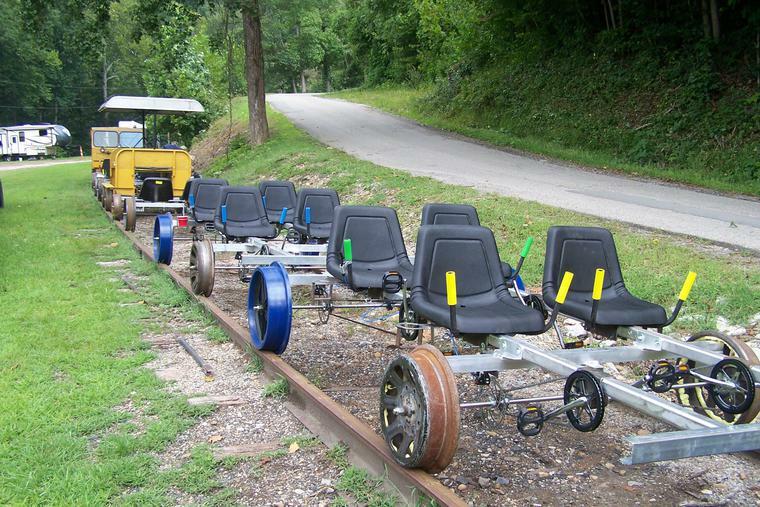 The industrious folks in Clay, WV have made it possible to once again ride the rails of the BC&G....on pedal-powered 'Rail Riders". This is a photo of a portion of the Dundon scene from Brooks' new S scale model railroad representing the BC&G as it was in the final years of 1963-65 and during the Majestic Mining years of the 70s. Through the generous use of 'modeler's license' the Dundon store remains open even though the real store closed in 1958. Here we see BC&G #13 switching cars after having brought loads of finished lumber from Swandale for interchange with the B&O. For the full story of the new compact layout, click here.